(Leusden, Scouting Nederland) – The best results in publicity for Scouting are achieved when Scouts tell their friends and peers what Scouting is about. We all know this and statistics seem to proof it. 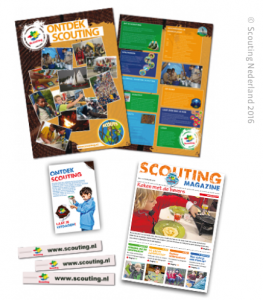 Come and join me in Scouting! 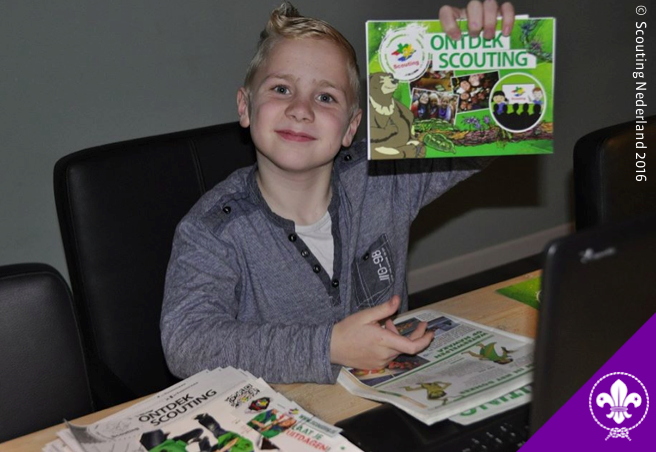 Scouting Nederland, the National Scout Organisation of the World Organization of the Scout Movement (WOSM) in the Netherlands, has now developed three specific “speech boxes” for members of its younger sections. The boxes (one for Cub Scouts aged 7-11, one for Scouts aged 11-15, and one for Sea Scouts) contain a series of factsheets, posters and other information, which may be quite useful to have at hand when preparing a public speech in the school. The box also contains gadgets and give-aways to present to friends and classmates, which can be personalised by adding the contact details of the local Scout Group! Small gifts to distribute to your audience like a key holder, badge or prize puzzle. So, what are you waiting for? Create your own “Speech Box” for your association and help your Scouts tell their friends everything about Scouting. More about Scouting Nederland on the Internet and on Facebook.